This system reports daily, weekly, monthly, and yearly information on rep-assisted call volume, corporate website and voice response system usage. 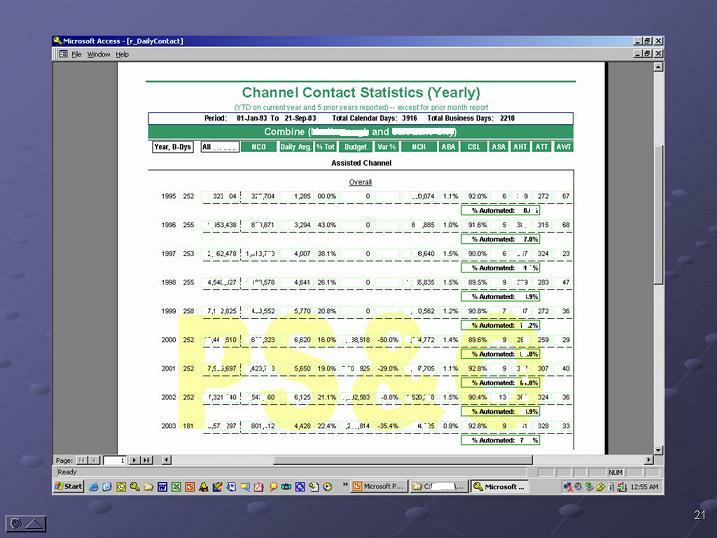 It computes annualized contact rates and channel automation by servicing segment, such as, prime, pooled and etc. It also provides graphical trending on cumulative service level and rep-assisted call index. Updated daily, this tool effectively integrates 3 different service channels' data into one reporting interface. These metrics are keys to ongoing customer and channel support strategies. 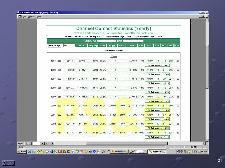 It stores data back to 1995 which makes historical trend comparisons and seasonal indexing possible. 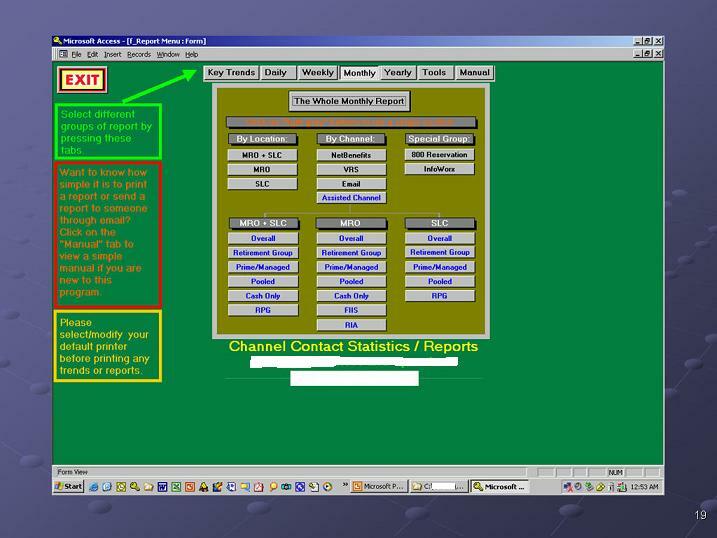 To view system features, please click on a picture below to enlarge image. 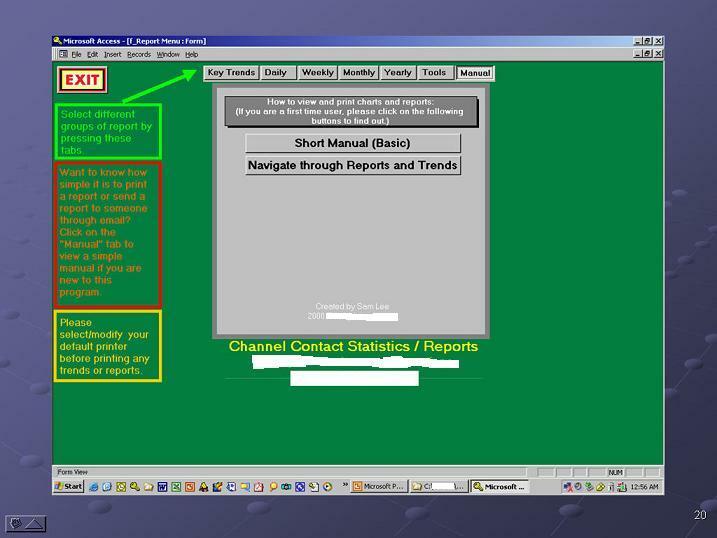 Some screen shots are modified to conceal confidential information.